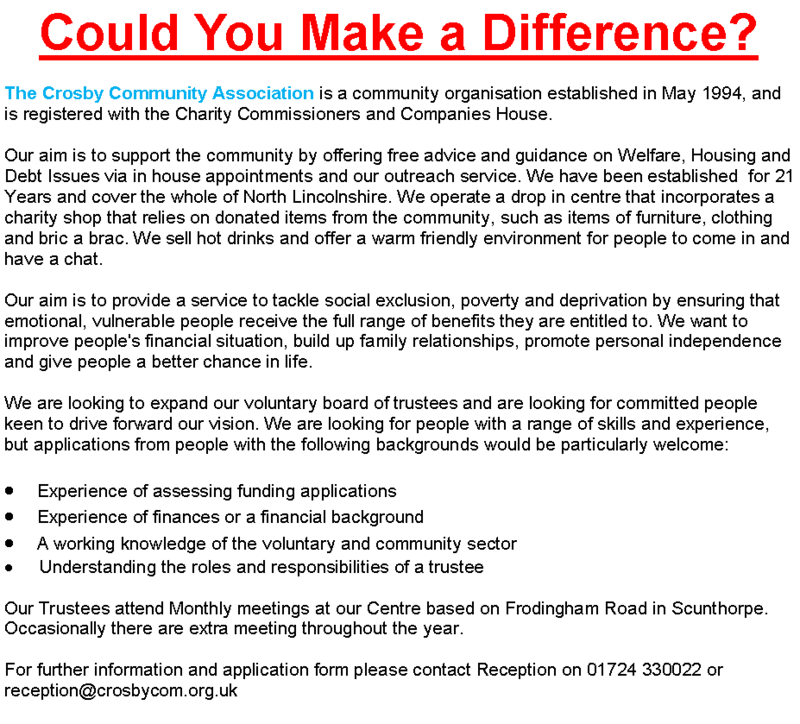 The Crosby Community Association was established by volunteers and continues today to value the hard work and dedication of the people who give up their free time to support the Community. Our Drop in Centre is run by volunteers who do a wonderful job with the day to day tasks required for a successful charity shop. We are always looking for people who are interested in giving their time to support the community through our drop in centre. If you feel you would like to give this a try we welcome the support you can give.